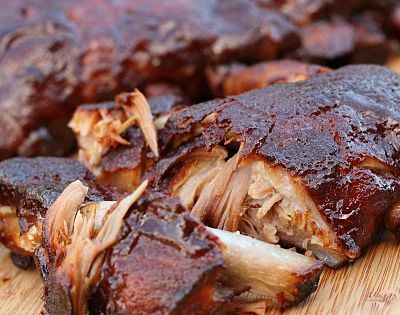 Easy Slow Cooker Barbecue Ribs. 1 T. Sweet Paprika, 1 T. Light Brown Sugar, 1/8 t. Cayenne Pepper, 2 Lbs. Pork Ribs, BBQ Sauce. 7 Hours on Low. Green Onions! Growing some me my kitchen now! Quick stove-top Mac &Cheese, just without the preservatives in the box. Yum.